I have been wanting to visit Cassia at the Capella Singapore for a while, especially after hearing about the good dim sum. I'm glad I finally got to try this fine-dining Cantonese restaurant and it certainly doesn't disappoint. Stepping in, you'll be greeted by stately elegance and plush opulence. Dining spaces are carved out into cosy nooks but the tables are set apart far enough for privacy. The whole thing oozes serious sophistication. 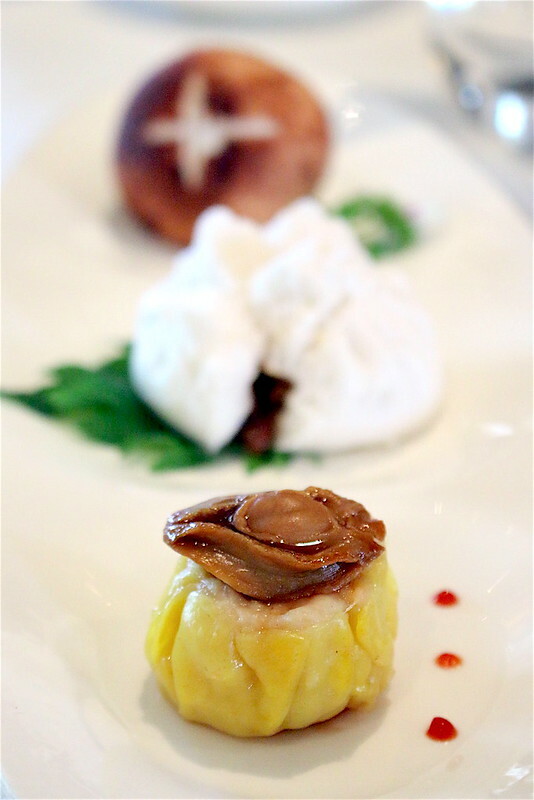 The dumpling is competently done with a well-braised, plump and juicy baby abalone on top. Oh man, this has got to be one of the best char siew buns I have had in a long time. The truffle and kurobuta go so well together in char siew gravy. I totally loved this bun that's done up to resemble a mushroom, complete with stem. The cute mushroom "cap" is the bun and it is utterly delicious. 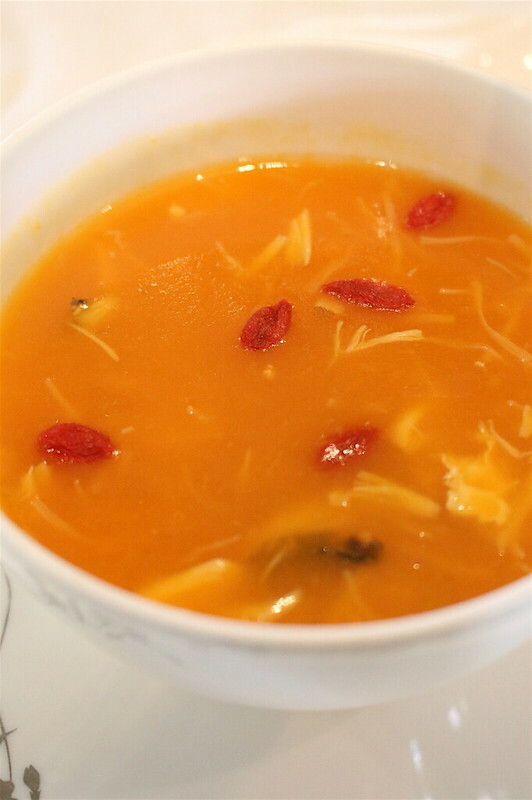 This pumpkin soup is perfect for autumn, with its silken texture and savoury notes. The bright and cheery colour warms the soul as much as the soup warms the stomach. Yet another lovely creation. I couldn't stop eating this once I started. 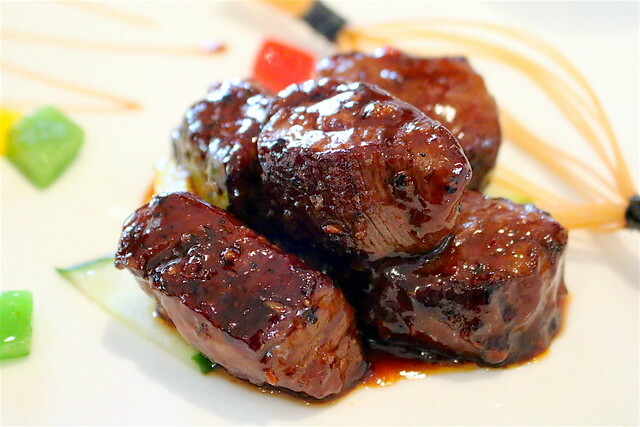 The rich beefy flavours accented by spicy black pepper are just irresistible. And the best part is - they didn't use tenderiser! The wagyu certainly didn't need it. Executive Chinese Chef Lee Hiu Ngai has concocted a claypot with all the glorious seafood items that are so beloved: fish maw, Australian abalone, sea cucumber, Hokkaido scallops, dried scallops and live prawns. 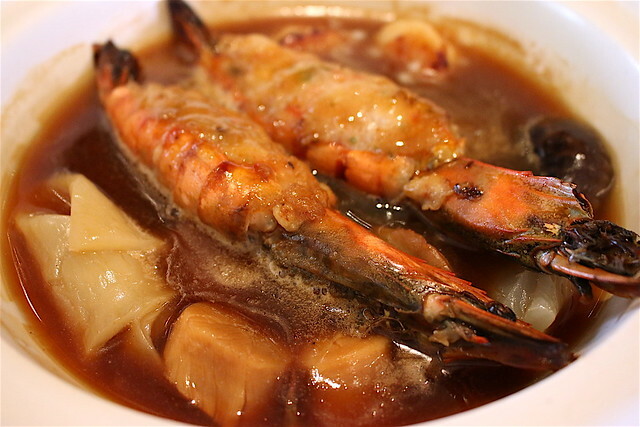 Also accompanying the rich braising stock are flower mushrooms and vegetables, making this a mini "pencai" treat. 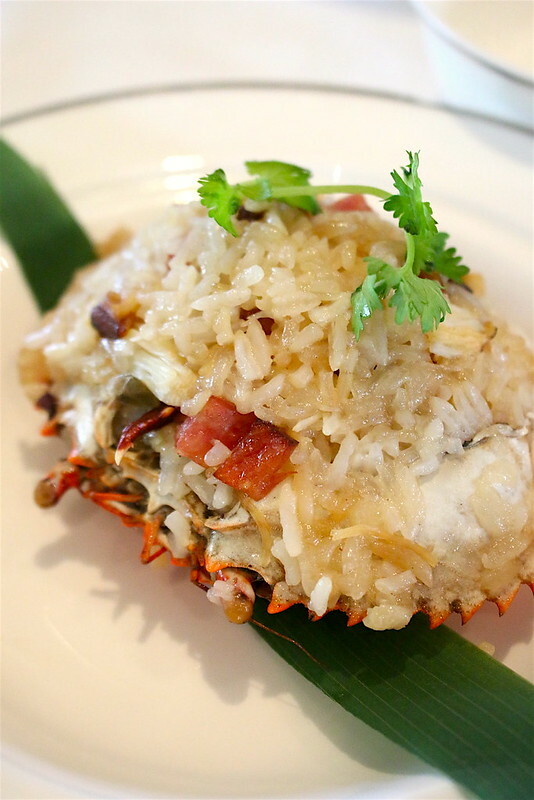 The seafood claypot comes with steamed fragrant rice, Sri Lankan crabmeat and preserved Chinese sausage presented artfully on a crab shell. This is positively moreish; I wish it was sold separately on the permanent menu. 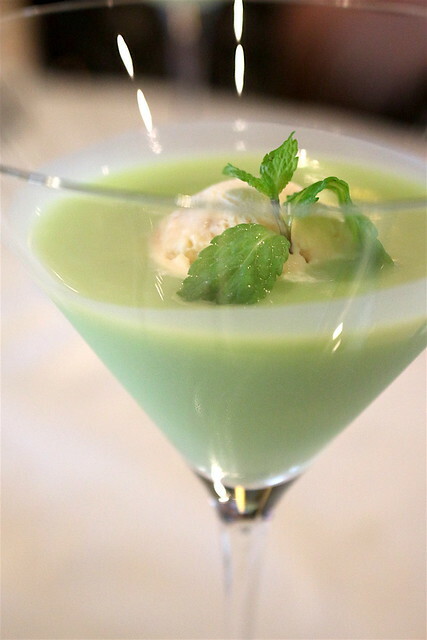 Dessert is a simple yet refreshing avocado blend topped with milky ice cream. Well now I know where to bring the family for a treat. Cassia is worth crossing over into Sentosa for such fine and exquisitely prepared food. Many thanks to Cassia for the invitation and hospitality!